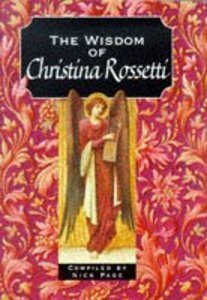 This gift book introduces Christina Rossetti's life and work. It offers 30 quotations - from Rossetti's poetry and prose - arranged thematically to provide short meditations to last a month if used daily, or to dip into now and again. Part of "The Wisdom of" series, this text presents short, accessible extracts from Christina Rossetti designed to appeal to the uninitiated. Christina lived from 1830 to 1894, and was a prolific writer of a wide variety of poetry and prose. This gift book introduces Rossetti's life and work, and features 30 quotations from her writings, arranged thematically to provide short meditations. About "Wisdom of Christina Rosetti"